Private equity firm Warburg Pincus has committed to invest over Rs 850 crore ($133 million) in Delhi-based e-commerce focused logistics solutions provider Ecom Express Pvt Ltd, it said on Wednesday. This comes on the back of a similar large funding in another e-commerce focused logistics firm Delhivery. Last month, Delhivery raised $85 million from Tiger Global, Multiples Alternate Asset Management, Nexus Venture Partners and Times Internet Ltd. However, this is the biggest ever PE funding in rupee terms in India in the logistics sector and the second largest in dollar terms. In 2011, a fund under Franklin Park Management bought Bangalore based Vikram Logistic and Maritime Services Pvt Ltd for $152.57 million, according to VCCEdge, the research platform of VCCircle. The rupee has depreciated significantly since then. 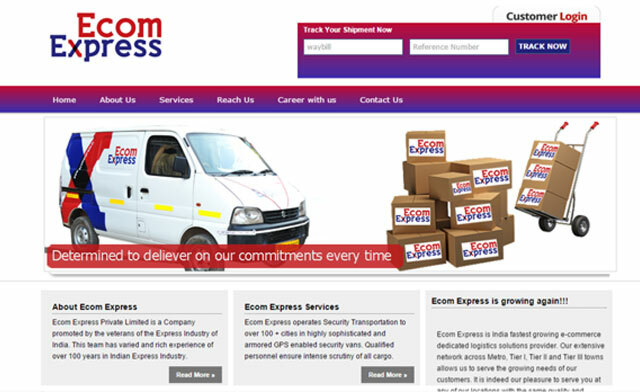 Ecom Express was founded in 2012 by a team of four â€“ T A Krishnan (CEO), K Satyanarayana, Manju Dhawan and Sanjeev Saxena. Krishnan has over 25 years of experience in courier and express delivery services and has spent much of his working life at Blue Dart (now owned by DHL). Last year, the firm raised more than Rs 100 crore ($16.5 million) from Peepul Capital. In 2013, it had raised an undisclosed amount in angel funding led by Oliphans Capital, which specialises in early-stage investments. Ecom Express started operations in January 2013 with presence in 35 towns and 42 distribution centres in North India with around 250 employees on board. Today, the firm employs 8,000 people and has presence in 210 cities and 320 delivery centres across the country. It expects to handle about 50 million packages this year and aims to cover more than 1,500 towns and cities over the next few years. "The infusion of capital will help us expand our delivery footprint in tier III, IV towns and rural centers across the country. Besides expanding reach, the company plans to invest in technology, deploy advanced parcel sorting systems, strengthen network reliability and infrastructure and build the second level management team," said Krishnan. "There is a significant need for logistics capacity in India to serve the requirements of the e-commerce industry, and businesses are seeking reliable service providers who can scale up with them," according to Viraj Sawhney, managing director of Warburg Pincus India Pvt Ltd. This is the first new investment in India by the marquee global PE firm this year and is the second-largest bet by it in the last three years. In 2014 it backed Kalyan Jewellers with $196 million. The surge in e-commerce industry sales has opened up a new wave of growth opportunity for logistics services firm. While some large e-commerce firms such as Flipkart, Amazon and Jabong have developed their own logistics units besides using legacy logistics services firms, given the scale of growth, the market is ripe for more players especially those specialising in the sector. Unlike conventional logistics services, e-commerce as a sector also involves several nuances such as reverse logistics, delivery on cash payment and so on. Ecom Express Pvt. Ltd. Warburg Pincus India Pvt. Ltd.